How to play m4p music with SAMSUNG MP3 Player? How to Play M4P with SAMSUNG MP3 Player ? If you meet the same problem too, You got the right place! 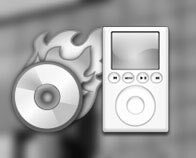 Please read this simple guide to learn how to convert the protected M4P files to unprotected MP3 files then you can enjoy them with your SAMSUNG MP3 Player. The M4P music files you purchased from iTunes store is protected by DRM, they could not be played without iTunes, iPod, iPhone etc Apple's product. So you could NOT play them with SAMSUNG MP3 Player. You need some software to convert the protected M4P music file to unprotected MP3, WAV etc first, then you can play the mp3 files with your SAMSUNG MP3 Player.